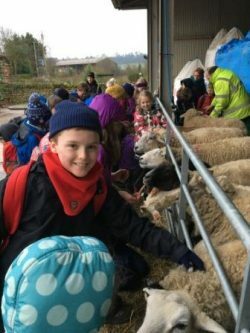 On a two year rolling cycle all pupils from Year Five and Six attend a residential visit. The most recent visit was to Braeside Residential Centre in Devizes in February 2017. 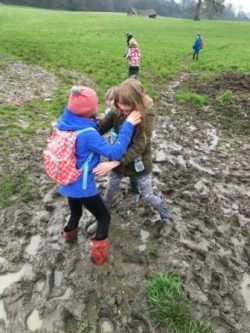 Pupils during the visit enjoyed a variety of activities that were designed to support the school curriculum though running through all the building of independence and social skills. On the first day a trip to an educational farm was on the agenda! 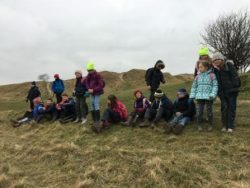 From the centre we walked through farmland (and on occasion became stuck in the mud for a while) to the farm where we enjoyed a talk by the farmer about modern farming, explored the farm in a guided tour and met some of the animals that live on the farm. The machinery used in drying grain was shown and we got to experience the sounds of the machines at work! 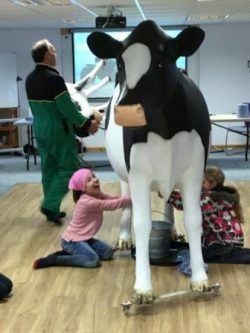 This activity covered aspects of Science and Geography from the National Curriculum. In the Dark Treasure Hunt! After a marvellous dinner on the first evening map skills came into play as we paired up to find points around the centre in the dark! This activity covered aspects of the Geography National Curriculum. On our second day after eating a wonderful breakfast we started our walk to ‘Oliver’s Castle’, the site of a civil war battle in 1643. The walk includes a woodland nature trail, geology references – chalk and clay, spring lines, Iron Age Settlement, site of Roman buildings. Maps and compasses were used by pupils to lead the group. In the evening after another lovely evening meal we were able to spend time together as a group and enjoyed sitting around a bonfire singing songs! High time for a challenge! 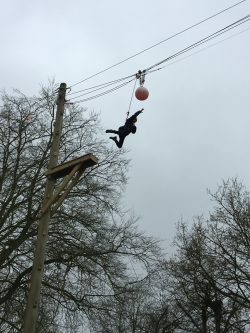 On the last day the pupils took on the challenge of the Hi gh Ropes! Nerves were needed but a good time was had by all! This activity covered aspects of the Physical Education National Curriculum. © 2019 Copyright Baydon St. Nicholas Primary School.